I'll be honest - my liver can't handle St Patrick's Day anymore. I definitely partied myself out in my twenties but now there's no more gallons of beer and silly hats for me, thankyouverymuch. I can still nail art though! So maybe I'm just keen on this holiday because of all the green #allgreenerrthang. 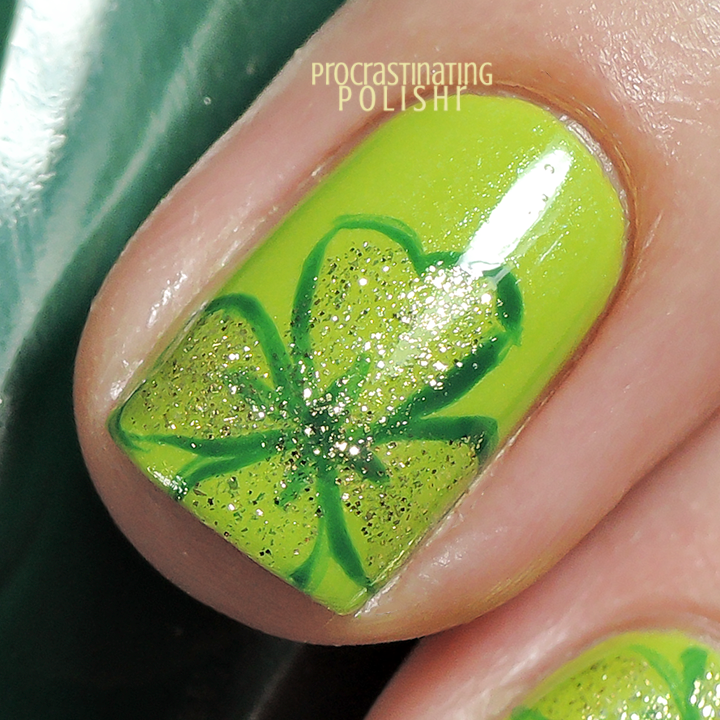 I kept it simple with some big sketchy clovers filled with gold glitter. I love the end result - usually I try things like this and the end up totally gaudy and overdone, but this is kinda cute, right? 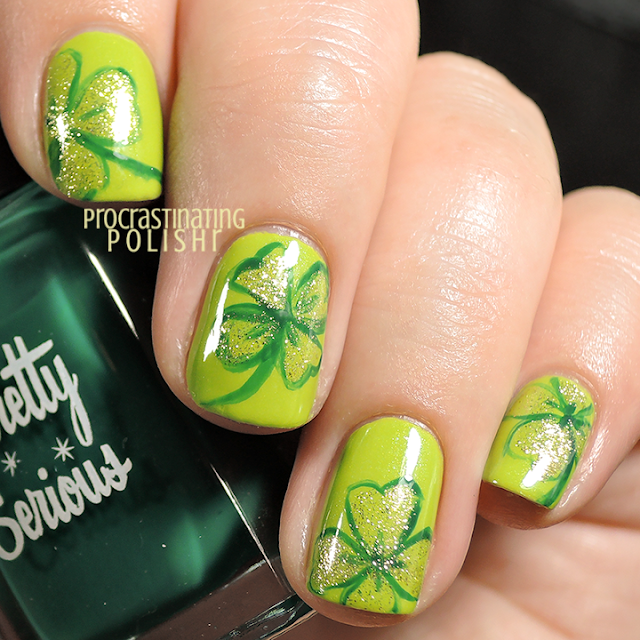 I simply freehanded some clover outlines onto each nail with a medium striper, mixing up the placement a little on each nail, and filled them with some gold glitter. Easy peasy! No need for perfection or precise linework which is always welcome. True story: I once had a real four leaf clover. I don't know where it came from, and for some reason it was laminated, but it was legit. I used it as a bookmark for years.